I installed my copy yesterday afternoon. I am still looking at, and trying out, some of the different features; so far, I like what I’m seeing. The new browser, Edge, feels so much smoother to operate than the old IE, and doesn’t seem to eat up resources like Google Chrome does (although I need to test that more in-depth). The desktop layout is about what Windows 8.1 was but a little more compacted. The Action Center and Task View, located on the bottom toolbar, are a pretty nice added addition. There are other parts to Windows 10 that I’ll check out over the next few days but it seems like Windows 10 is going to be a pretty nice upgrade. I’d recommend you at least try it out (it IS a free upgrade, after all); if you don’t like it, just revert back to what you had. – Blizzard usually waits to reveal their WoW expansions but it seems that the thousands of complaints about ‘Warlords of Draenor’ may have pushed their timetable forward quite a bit. On August 6, 9 AM PDT (noon, EDT), there will be a live stream announcement about the next expansion to the World of Warcraft franchise. Rumors have (and, seemingly, always will) run wild about which area(s) will be in the next xpac, will new character classes and races get introduced, and so on. 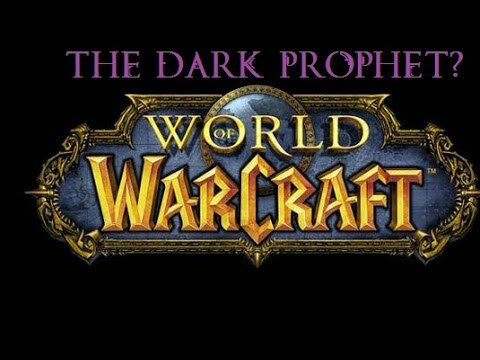 However, a thread on Reddit, recently deleted, was leaked by a poster, known for his/her accuracy in announcing Blizzard expansions and patches, stating that next expansion will be entitled “The Dark Prophet” and would take place in the South Seas. This is not official; that announcement comes the next week. It is a little bit fun to speculate. though…. and to see how accurate the leaked Reddit thread was. – Beijing will host the 2022 Winter Olympics. It becomes the first city to host a Winter and Summer Olympics. – I still don’t see why Louisville doesn’t have some form of Light Rail transit. There are a few different options that I have come up with and will write about in a near-future post. Last year, on July 30th, I weighed myself at my friends’ home. I “looked in the mirror” and didn’t like what I saw, physically; I weighed 263.8 pounds. I may have been a couple of pounds heavier before then but that was the “official” mark that I used. Since that time, I’ve changed my diet in small ways, such as cutting back my pop drinking and not eating at fast food places as often; the diet changes haven’t always been consistent but I have stuck with most of them. I also do not eat nearly as late as I used to. It wasn’t unusual for me to eat later than 11:00 PM; nowadays, it’s 8-8:30. I have always walked a lot but I added a mobile app called Map My Walk, to track where I walked, how long it took overall, and how long it took to walk a mile. My goal, at the time, was to consistently walk 2+ miles per trip, at under 17:00 per mile. In January, I got a scale to more accurately track my weight; I was at 247.8 pounds on January 3rd. I hovered between 245-248 pounds until the end of March. On March 28th, I joined Planet Fitness, spending the majority of my workouts using some combination of the treadmill (5-15 minutes if I’m warming up on it, 15-25 minutes otherwise), stationary bike (10 minutes/15-45 minutes), recumbent bike (5 minutes/10-15 minutes), and elliptical machines (5-15 minutes; I don’t warm up on these), 2-4 times a week. Fast forward to July 29th/July 30th: I am now 233.4 pounds, a 4-year low. I have battled Tendinitis and Bursitis issues but now average walking about 16:15 per mile (I don’t have a set distance goal yet; I have done over 3 1/2 miles more than once, though). Thanks for allowing that rare back-pat.